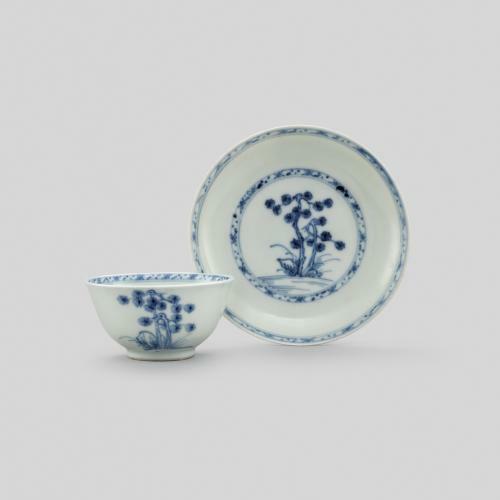 Blue and white porcelain from China was extremely fashionable in Europe during the late 17th and 18th centuries and was exported to Europe on a vast scale. 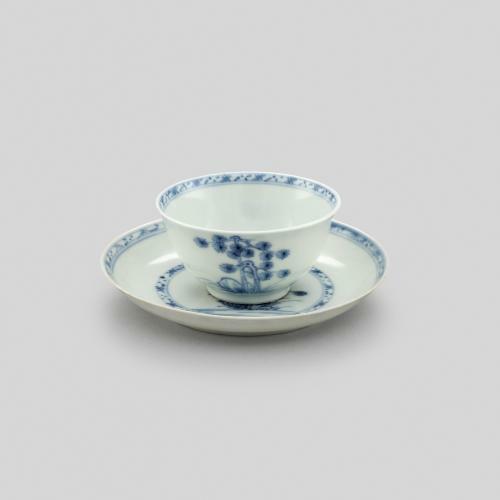 In 1751 this tea bowl and saucer left China on a Dutch East India Company (VOC) ship bound for the Netherlands. 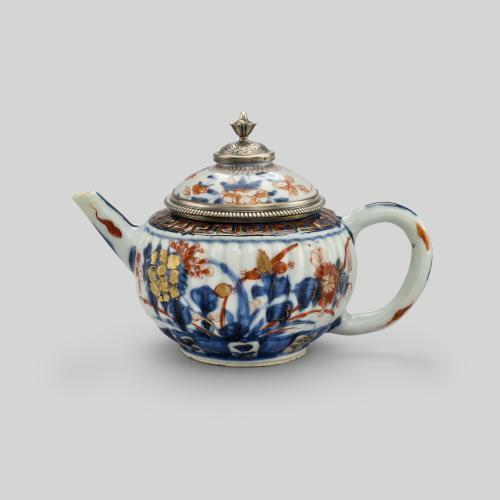 Soon after departure, the ship Geldermalsen struck a reef and sunk in the South China Sea, taking down its rich cargo of textiles, tea, lacquerware, and some 239,200 pieces of porcelain. 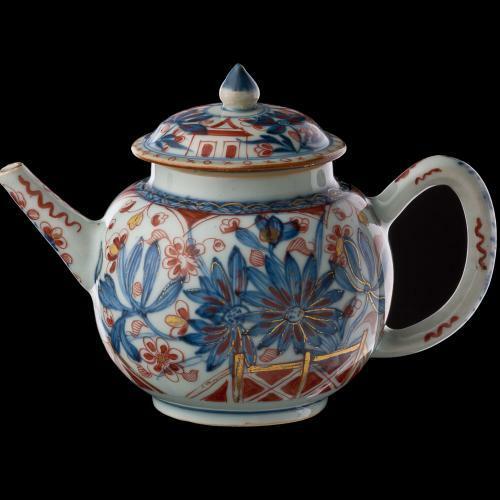 The lost ship was eventually discovered in 1985, and over 150,000 porcelain pieces were recovered from the wreck. This bowl and saucer remain in remarkably good condition, since they had been packed inside boxes of tea. 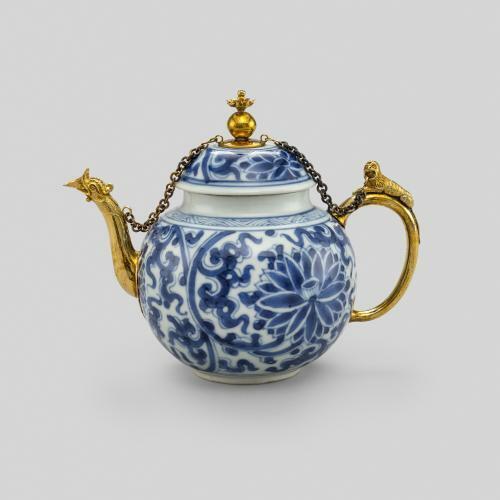 Now known as the Nanking Cargo, the pieces returned to Amsterdam where they were sold at Christie’s in May 1986. Our pieces still retain the auction labels from this sale.